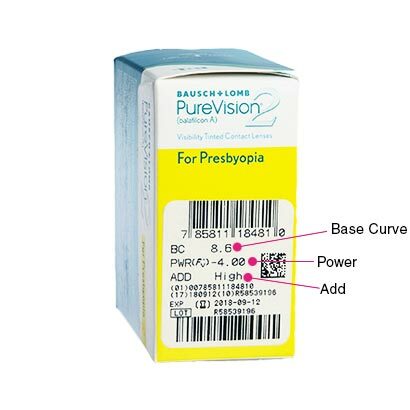 Designed by expert manufacturers Bausch & Lomb, PureVision2 for Presbyopia contact lenses (6 Pack) offer a more natural multifocal correction, with smooth transitions at all distances. This package contains 6 multifocal lenses for exceptional value for money. Whether you’re regularly checking your smartphone or staring at a computer screen all day, you can expect day-long comfort with a rounded-edge profile and smooth, consistent lens surface. For prolonged wear, the material is made from a silicone hydrogel material to allow more oxygen to reach the eye, ensuring continuous hydration to last the entire month. 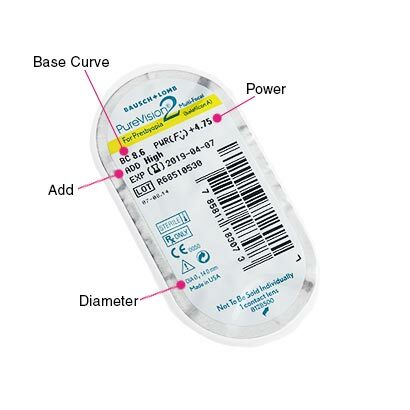 These monthly contact lenses eliminate the need for reading glasses, providing effortless focus with their 3-Zone Progressive Design to improve and correct presbyopia vision at the same time. The lenses are also made with a light blue handling tint for easy application. 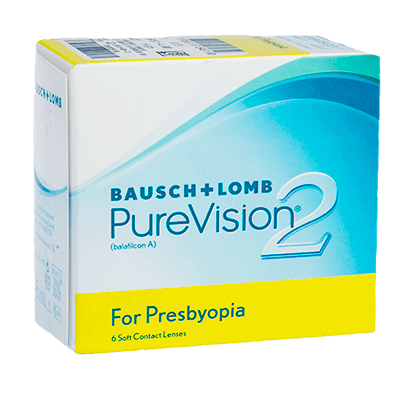 Purevision2 for Presbyopia (6 Pack) will need to be replaced monthly, worn as daily wear, provided they are kept in solution each night. Alternatively, with the approval of your optician, they can be worn as extended wear. For a simple cleaning and storing routine to maintain your contact lenses, at FeelGoodContacts.ie we recommend comfi All-in-One Solution. Biofinity Multifocal and Air Optix Aqua Multifocal are similar monthly multifocal contact lenses.